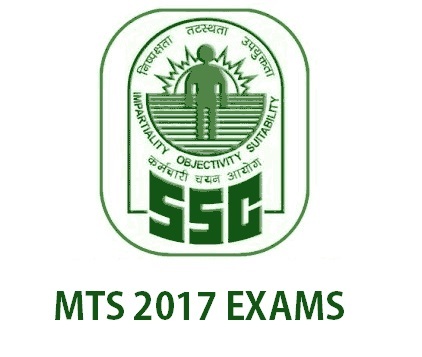 The online registration for the SSC MTS(Multi Tasking Staff) examination has started. Anyone who passed class 10 or equivalent can apply for the exams. The exams are being conducted for 8300 posts all over India. Anyone applies for posts spread over nine regions of the SSC. The registration fees are Rs.100. For women/SC/ST/Persons with Disability/Ex-servicemen, there are no registration fees. The last date for registration is January 30, 2017. The age limit for applying to the General category is 18-25 years. For SC/ST candidates, the age limit is 30 years. For candidates belonging to OBC class, the age limit is 28 years. For Persons with disabilities, the age limit is 35 years. Here is how to apply for the SSC Multi Tasking Staff. The candidate can apply to more than one centers in one application with priority. You cannot apply more than once as separate applications. If found, you applied for two centers separately, your both applications will become disqualified/invalid. If you have applied for SSC previously with an account, you can log in to the account and do the registration. The photo to be uploaded should be an 8-bit JPG file with dimensions 100×120 px. The signature to be uploaded should be an 8-bit JPG with dimensions 140×60 px. You don’t have to send the application through postal mail. The written exam will have two papers. Paper 2 will have essay/letter question (50 marks) in English or other regional languages mentioned in the 8th schedule of Constitution. Timing and duration of Paper1 will be varied for general candidates and candidates with disability. Length for Paper 2 – Exams for general candidates will have exam duration 30 minutes whereas candidates with a disability will have a duration 45 minutes. Uttar Pradesh – 211 002. Tamil Nadu – 600 006. Sector – 9, Chandigarh – 160 017.